Based on the true events of the 1980 United States miracle Olympic run, Gavin O’Connor’s Miracle is a film that accurately depicts the events that led to such an astounding victory at Lake Placid. The movie features Kurt Russell playing the role of US head coach Herb Brooks. From there he selects players such as Jim Craig (Eddie Cahill), Mike Eruzione (Patrick O’Brien Demsey), and Mark Johnson (Eric Peter-Kaiser) to play for his hockey team. After the team is selected, the film greatly depicts the initial interactions of the team, such as feuds between Jack O’Callahan (Michael Mantenuto) and Rob McClanahan (Nathan West) because of the Boston University-University of Minnesota rivalry, and the players giving introductions on their hometowns and who they play for. However, Brooks is not satisfied with the answers he received from his players. The film adds to this idea of struggling to get off the ground by remaking the end of a 3-3 tie against Norway where players were distracted by ladies in the stands. Brooks then tells his players to get their heads in the game with a long skating session immediately after the game that leaves the players exhausted. However, Brooks ends the skate when Mike Eruzione gives the answer he was looking for: he plays for the United States of America. Following the tie, the team continued to come together, and the roster is finalized. The U.S team then plays in an exhibition at Madison Square Garden against the Soviets in which they got demolished 10-3 just before the Olympics. However, the team would regroup in time for the Olympics and the film shows reconstructions of various sequences of the games in round robin play, including a tying goal against Sweden and various clips of wins against Czechoslovakia, West Germany, Norway, and Romania. The team qualified into the medal round and would rematch against the Soviet Union. The film reaches its climax with a rendition of Herb Brooks’ “Miracle Speech” done with a lot of emotion by Kurt Russell, which only adds to the big game feel of the moment. The film then reconstructs the game, and it’s done very well for it touches upon each of the goals in the game, 4 for the US and 3 for the Soviet Union, and a dramatic ending in which the Soviets almost tied the game. The use of Al Michaels commentary adds authenticity to the remake and his, “Do you believe in miracles?” call perfectly sums up the sequence when the US pulled of the dramatic upset. Russell then closes out the film where he gives a monologue about his team winning the gold over Finland a few days later with small clips of the game and postgame celebration reconstructed. Out of all the details in the film, it hits the game reconstructions the best. The film very accurately reconstructs the sequence of in game events and shows the emotions of players in the moment. The film also does very well on the emotions and feelings of the characters on and off the ice. It shows the struggles of Herb Brooks trying to find time for his team while caring for his family and the interactions between Brooks and struggling players like Jim Craig. 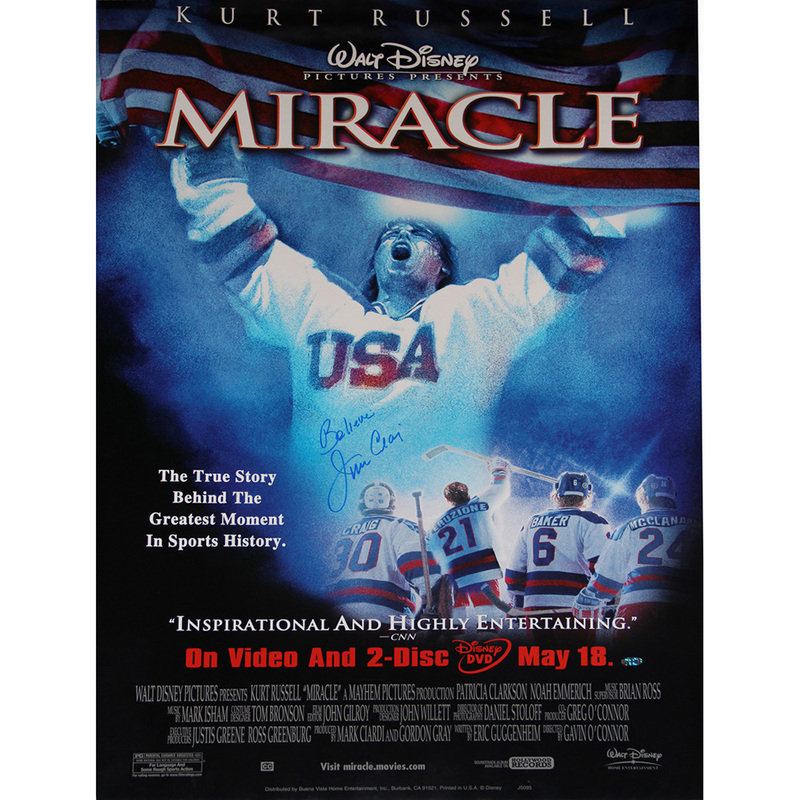 Miracle is a very well done film that anyone can enjoy, from the hockey fan with the game reconstruction and fast paced feel of the film to the average person with the story of the team and acting of Kurt Russell and Patrick O’Brien Demsey.